Mara van Staden treated her all her strawberries with ExploGrow™, growing the biggest and juiciest crop that she has ever enjoyed on her farm. After closely following the result on Mara's farm, a farmer in the Eastern Cape committed to a full ExploGrow™ strawberry control test to help establish the exact difference that the ExploGrow™ microbes will make to his strawberries. 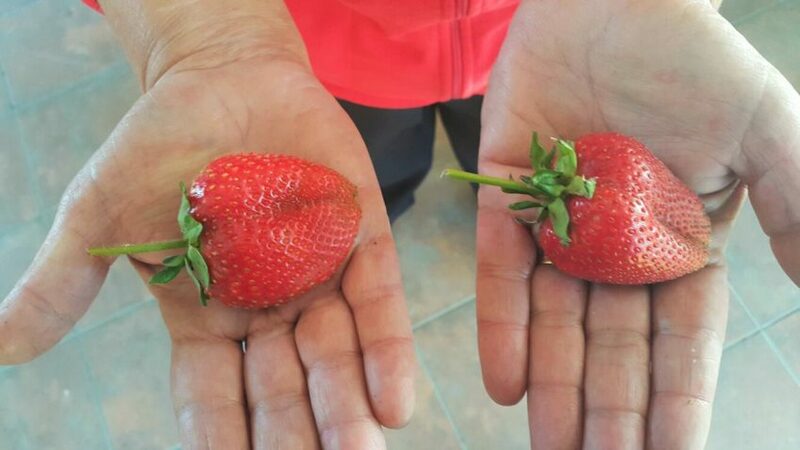 "The biggest and most delicious tasting strawberries that I've ever produced" Mara van Staden, strawberry grower, Cradock, South Africa.